Good evening everyone. I hope all of you had a fabulous Monday. Yesterday and today were odd days for me. As you know, I recently returned to work. I have been working through the ankle pain (related to the triple ankle fusion surgery I had several months ago) trying to return to my normal life. Yesterday my ankle pain went through the roof, but I managed. Today the pain was even worse. I worked five days in a row, and couldn't wait to come home and take my shoes off. When I got home tonight and finally was able to take my shoes off and relax, I found that my sock and shoe was covered in blood. Apparently my foot became so swollen today that one of my toenails popped off and the skin on some areas of my foot ripped open. I did not feel any of this because my ankle pain was so excruciating. My foot looked so bad that I broke down and started to cry. I am still in shock that this happened to me. My return to work this week has been a struggle and the pain has been preventing me from working on any art. Even now I am struggling to write this blog. My concentration and focus have been thrown out the window in exchange for fatigue and chronic pain. I look forward to the pain lessening and life returning to normal as time passes. For now, I will try to post to the blog and work on art when I can. 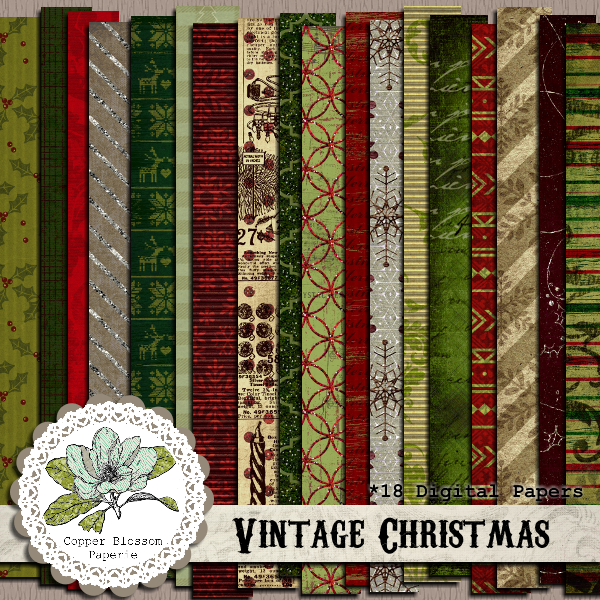 Tonight I just wanted to share the release of my new Vintage Christmas digital scrapbook paper pack. This kit contains 18 12"x12" digital papers inspired by vintage Christmas cards and decorations. I love this kit and cannot wait to post projects featuring these papers. These papers are great for scrapbook pages, journaling, seasonal crafts, and card making. This kit is $1.75 and is available for purchase HERE. All digital files purchased will be sent to your e-mail directly from Etsy when your payment clears. If you have any problems downloading any of the digital files, please contact me at copperblossompapergallery@gmail.com and I will help you with the zip files or even send the files to you directly. I will be releasing the full Vintage Christmas digital scrapbook kit and set of pockets cards in the next couple weeks as well as a printable greeting card set and gift tags! I also started working on a second Christmas collection titled Merry & Bright. 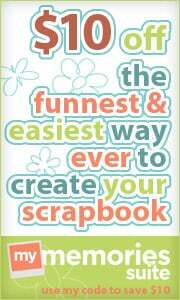 I will be announcing all upcoming digital scrapbook releases on this blog so be sure to follow and subscribe!